A fun Pre-Algebra topic to teach in eighth grade math is functions. Students have prior knowledge of numbers, expressions, and variables which helps them to be able to write and find functions. 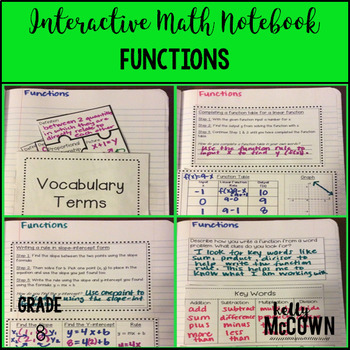 I have listed here five activities to review and practice Functions. 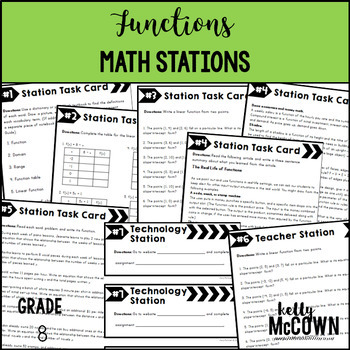 I hope these help jump start your lesson planning into Functions. The key to getting your students involved in the learning process is to include interactive, visual, engaging activities for them to actively participate in. 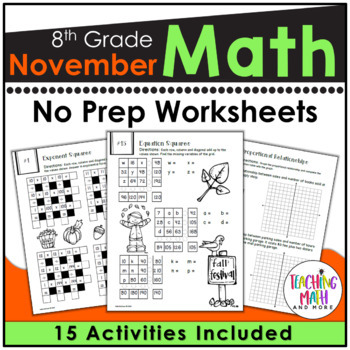 This November Math NO PREP packet that will keep your eighth graders engaged! This packet is just plain fun. 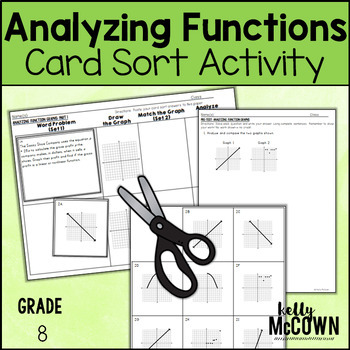 Not only is it PACKED with eighth-grade common core math problems, it also gives students fun coloring, puzzles, and problem solving. Use this packet for bellwork, classwork, extra credit, fast finishers, or homework! Have fun with Functions! Find a creative approach and teach it. November is a short and hard time to engage your students. YET IT IS the perfect time to engage your students in Math and the rewards will be higher in the end of year!